Circularity and resource efficiency are the latest sustainability buzzwords. The lists recommending what are the best means to achieve circularity are plentiful, but Anne-Marie and her research team applied life cycle thinking to resource efficiency and got new results. 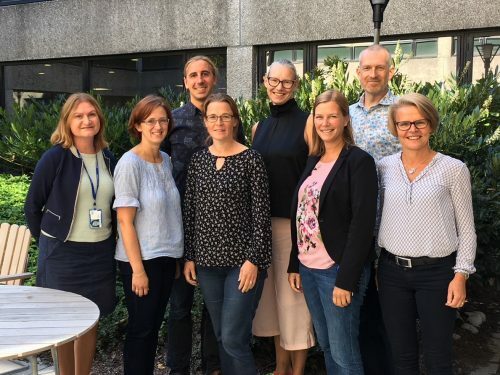 Anne-Marie Tillman, Professor at the Division of Environmental Systems Analysis at Chalmers, has been studying life cycle assessment and life cycle thinking since the 90’ies and has been an active member in Swedish Life Cycle Center since its birth. Since a couple of years, she leads Chalmers’ work within Mistra REES – Resource efficient and effective solutions and new results are about to be published. Swedish Life Cycle Center took the opportunity to give a sneak peek on the results to its partners. In a webinar on January 17, Anne-Marie shared preliminary results from the studies that she has lead within Mistra REES and opened up for questions. — Some of the results shared today are still tentative and are just about to be reviewed, but soon the results will be published, Anne-Marie starts the webinar with. A group of almost 40 people from around 13 partner organizations were gathered at their computers this morning and the interest for the webinar was extremely high. Not less than 70 people registered to the webinar so there is no doubt about the high interest for the topic. The presentation went from definitions of circular economy and current situation to the conclusions from the research. Anne-Marie went through some of the lists recommending what are the best means to achieve circularity (3Rs, 4Rs, 6Rs and 9Rs), the Rs denoting measures like reduce, reuse, recycle, recover etc. But Anne-Marie said that she is not quite sure that the rules work for all products. — What can LCA teach us about Circular Economy? Anne-Marie said. Let’s try adding some life cycle thinking to resource efficiency and see what it can teach us! During the past years, the research team at Chalmers went through literature and dug into the different stages in the life cycle of various products to find some rules of thumb. Product characteristics like, for instance, development pace, whether the product is durable or consumable and active or passive matters when deciding what measures for resource efficiency to use. — For instance, for durable and active products it’s important to make them more energy efficient during use, Anne-Marie said. But for passive products like a table or a chair that just stands in a corner the focus could be on material composition, design for recycling etc. — In some cases, when the technology development to improve energy efficiency goes fast, it could be better to replace the product with a new one and not repair it or re-use it. The results are important contributions to existing knowledge about circular economy and put spotlight on the trade-offs that need to be considered when trying to improve resource efficiency of products. In the publication though, there will be a complementary table with semi-quantitative results from the research that indicate the potential in improved resource efficiency for different products. The study’s preliminary title is: What makes resource efficiency measures environmentally beneficial? A systematic review of assessment studies. It will be submitted for publication during spring 2019. In photo, from left: Daniel Böckin, PhD; Anne-Marie Tillman Professor and Siri Willskytt, Phd. All from Chalmers within the project Mistra REES.